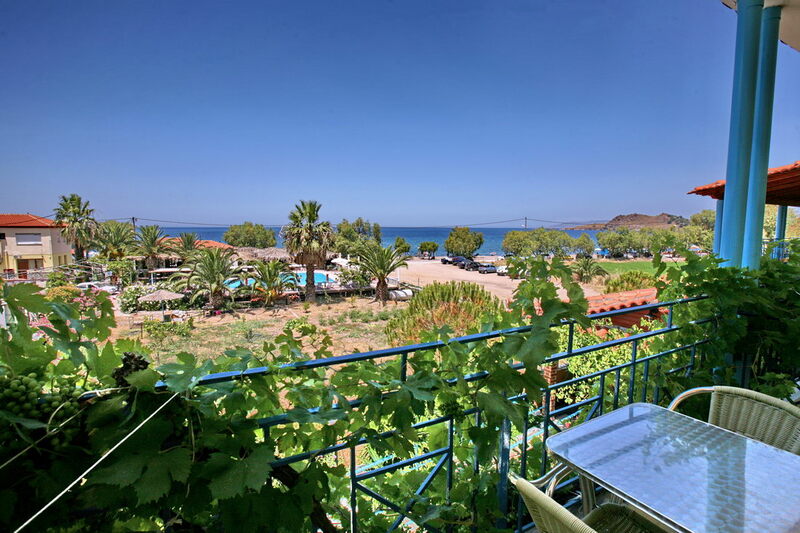 At the Eastern side of Aegean Sea, we find the third biggest island of Greece, Lesvos. Mytilene town is the capital of the island and is going to charm you with its deep greenish hills and architecture, elements that reflect the island’s character.In a magic land situated by the sea, beside a beautifull golden sandy beach at the area Anaxos, is the ANAXOS Hotel. he entire block- constructed with a unique way and architecture- offers to its visitors a series of comforts. Also combines relaxation and tranquillity with cosmopolital and night life. 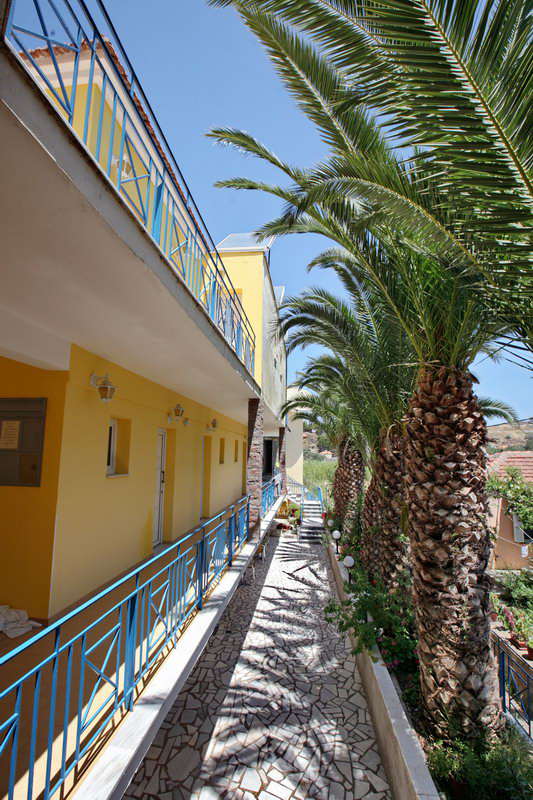 ANAXOS hotel has ? luxurious rooms. All of them have been decorated with artistry and equipped with all the comforts, aiming at satisfying all of your needs. The surrounding area makes it the ideal place for couples and families logging for a break away from daily routine. The director and the friendly personnel of our hotel will be at your disposal 24 hours the day. At our unique accommodation you are going to find a great variety of services. 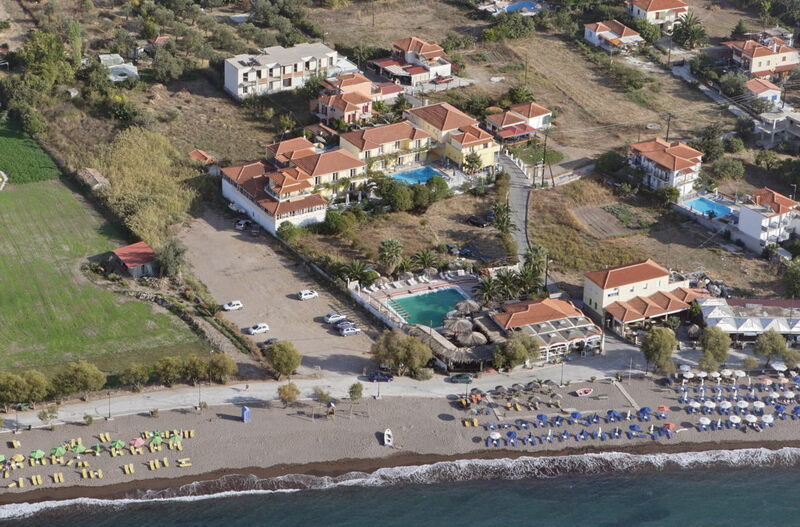 The hotel has got a swimming pool with comfortable areas for sunbathing ( sundecks, umbrellas ). 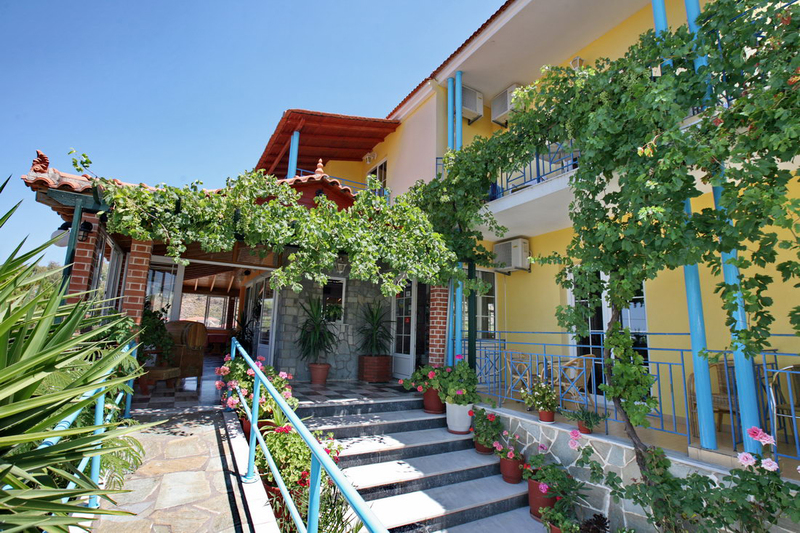 The hotel, provides Coctail Bar, Coffee, Lounge, restaurant which serves Greek traditional cuisine ( accompanied by fish and ouzo ). At the comfortable area of our sitting room you can enjoy coffee.